Get Text Alerts and Notifications Straight to Your Phone!! Updated Sunday July 31, 2016 by RG. Did you know you can receive text alerts from your team's coaches and team parent? To enable text alerts for your phone, log in to your SIplay.com account, look for the Options menu on the right, go to Account Settings, then look for the Options menu, go to Mobile Phone Settings. Here, you can enable texting for your previously entered mobile phone number(s). There are instructions for adding additional phone numbers there as well. 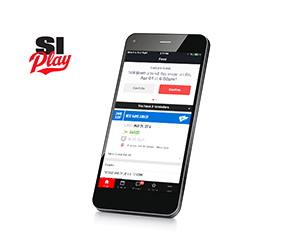 You can also keep in touch with your team and the league by downloading the SIplay or TeamWall app for your iPhone or Android. The two apps work similarly, with the SIplay app being the newer build. If you already have the TeamWall app from playing with Infant Jesus, that will work with your Comsewogue Youth Football account just fine.